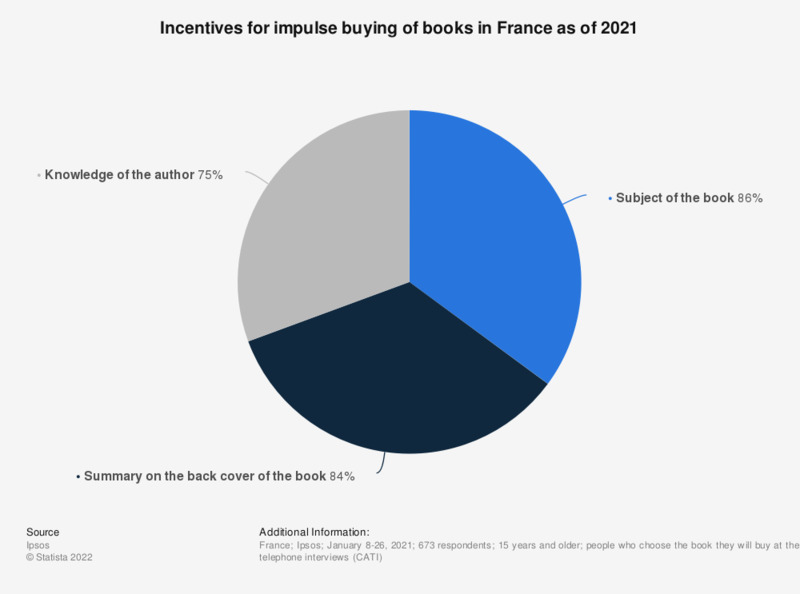 This statistic represents purchase incentives for impulse buying of books at a point of sale and the corresponding share of respondents who cited them as part of a survey conducted in France in January 2017. It reveals that the subject of the book was the main buying purchase criterion among people who choose the book they will purchase at the point of sale. This question was phrased by the source as follows: If you do not have any book title in mind, what can make you want to buy a book at a point of sale?" Respondents could cite several purchase incentives. Do you read for leisure or for professional reasons? When do you choose the book that you will purchase? Have you purchased at least one book during this year? Have you ever / do you currently read to your child? How frequently do you visit a library with your children? What is the preferred method for your child to access their story books? What type of books do you mainly read to your child? Where do you mainly purchase books for your children? How frequently does someone read to your child?